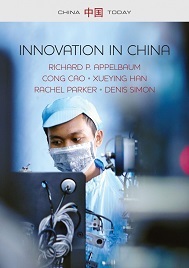 Professor emeritus of global studies and of sociology Richard Appelbaum co-authored a new book Innovation in China (Polity Press, 2018). The book argues that China’s top-down approach is both an impediment and a catalyst to the country’s goal of becoming the world’s dominant actor in science and technology. Read more about the book featured in UCSB's Current: http://www.news.ucsb.edu/2018/019267/ambitious-dragon?